So I've been thinking for a while about starting a new feature on the blog for all of those amazing gifts out there for book lovers. It's actually harder than you think to buy a gift for a book lover as the one thing you can't really buy them is a book! So what do you buy the book lover who has everything? 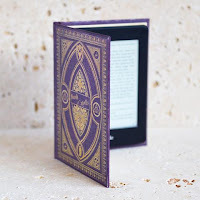 That's where the Bookmagnet Best Bookish Buys comes in, where I plan to share reviews of bookish products I have bought and also to look at some other great gift ideas for bookworms available online. First up, is the Book of Spells Magic Reading Lamp from Klevercase. 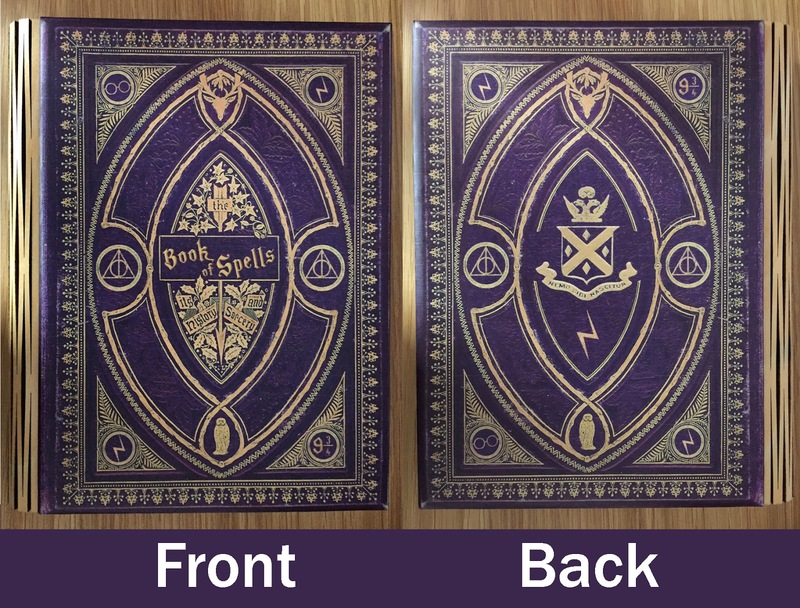 This is an absolute MUST BUY for any Harry Potter fan. 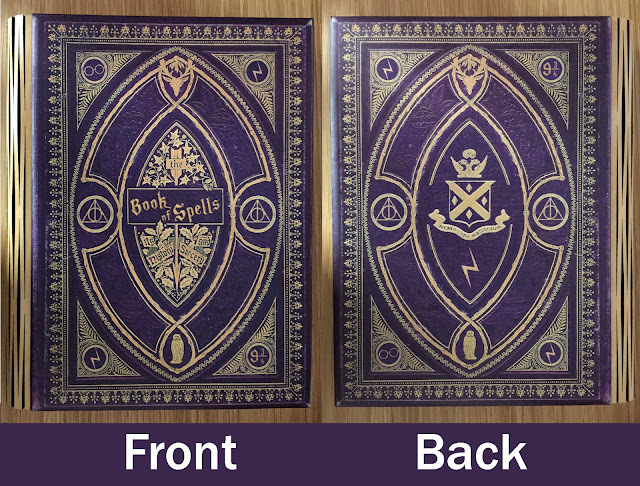 It's available in purple or Hogwarts house colours, either all four together, red Gryffindor, black Hufflepuff, blue Ravenclaw or green Slytherin, but I went for the purple as it's my favourite colour. It can even be personalised for an extra £5. Priced at £70 full price but Klevercase have many promotions throughout the year where you will be able to pick one up for around £35 or £40. Klevercase ship internationally and offer free tracked delivery to most countries. Klevercase have expanded the reading lamp range to include vintage personalisable penguin covers and classic books. The penguin covers come in orange, pink, blue, lilac, green, turquoise, yellow-geo print and cat print, so there's something for every decor. The current classic books range includes: Pride and Prejudice, Jungle Book, Sherlock Holmes, Secret Garden and Alice in Wonderland. The lamp is rechargeable via USB and arrives already charged so it lights up straight out of the box. It's the size of a large book measuring 21.5cm high by 17.5cm wide and 2.5cm deep. Both the front and the back of the lamp are beautifully illustrated so it looks good from all angles, whether standing up or lying flat. You can open the lamp either flat like you're reading a book or standing up on its edge - either look stunning and give a good burst of light. 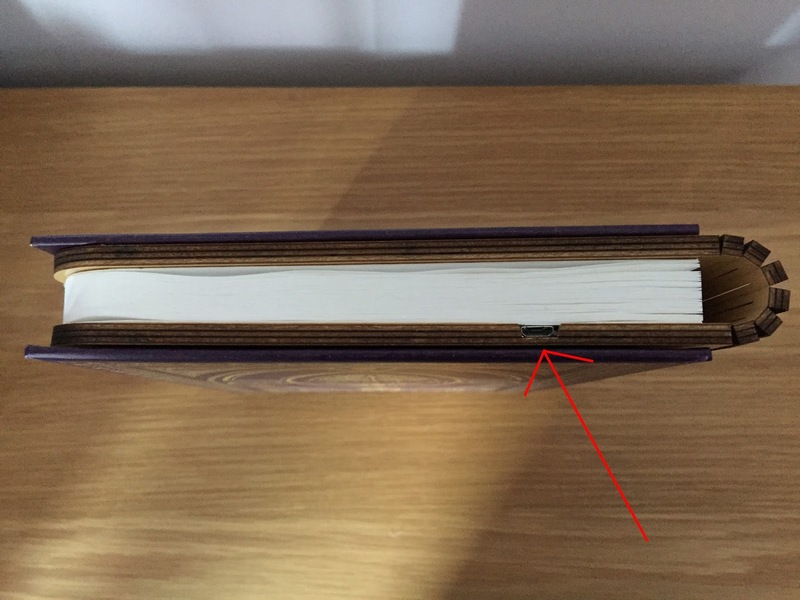 There's also the amazing full 360 degree light by folding the book back on itself (I cringe just thinking about doing this to a real book). The cover is magnetic so the cover sticks to itself and creates a breathtaking circle of light. Some careful consideration has also gone into the charging port as it blends in nicely with the edge of the cover and you wouldn't even know it was there if you weren't looking for it. I had to draw a big red arrow on my photo to point it out! The lamp comes with full instructions for charging along with a Harry Potter thank you leaflet and a flyer showing other fabulous items that Klevercase make. The Klevercase Magic Reading Lamp is a Bookmagnet Best Bookish Buy and a recommended gift for any book lover. Click here to visit Klevercase and buy one today! While picking a Bar exam HOSPITALITY MUT readiness course, recollect that not all courses are indistinguishable. social engineering I would like to thank you for the efforts you have made in writing this article. I am hoping the same best work from you in the future as well.. Positive site, where did u come up with the information on this posting? ramsheth thakur public school kharghar I'm pleased I discovered it though, ill be checking back soon to find out what additional posts you include.